Logile’s Demand Forecasting solution goes well beyond methods like moving averages and exponential smoothing and includes recent advances made in statistical learning and pattern recognition. Our forecasting application supports all time intervals, from short-term: intra-day to day to week to mid-term: four week period to month to quarter to long-term: annual to multi-year. 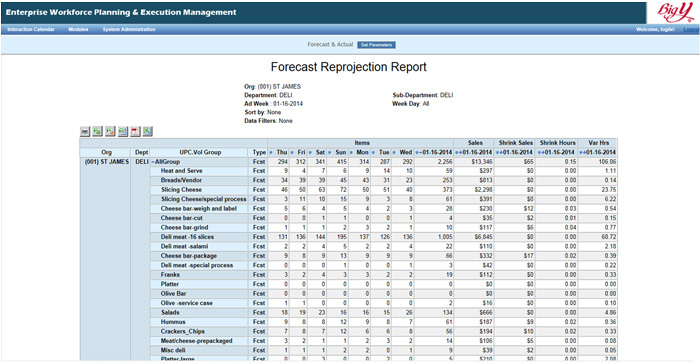 Our forecasting solution supports forecasting elements such as sales, SKU, individual and consolidated UPCs, consolidated sub categories, categories, etc. 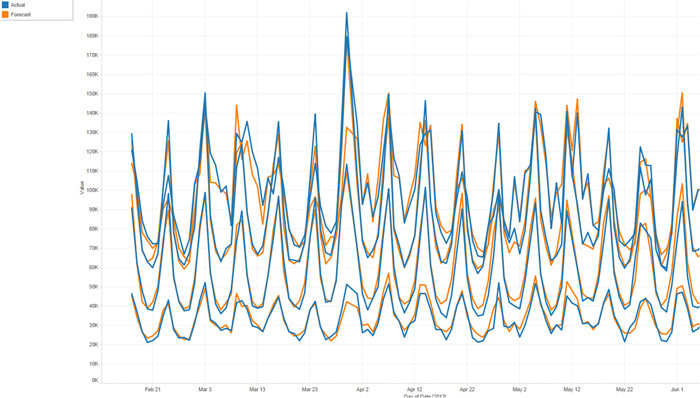 We also support a proprietary and unique Demand Forecasting Workbench™ that provides extensive “what-if” modeling with analytics and graphs of forecasts versus actuals and common and consistent performance metrics across business areas. The Workbench can automatically select the best model and optimize the parameters for a large number of elements.